Let us know that you want to know all about the sale. Make JoCo your Yard Sale Headquarters! 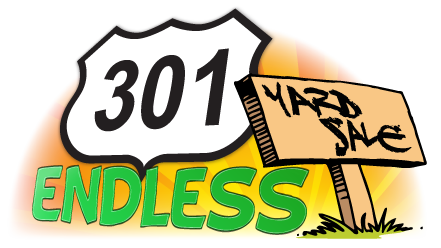 The 301 Endless Yard Sale has become a spectacular event for dealers and shoppers. The third weekend (Friday & Saturday) in June every year visitors from far and wide travel to North Carolina to search over 100 miles of yard sales along US HWY 301. 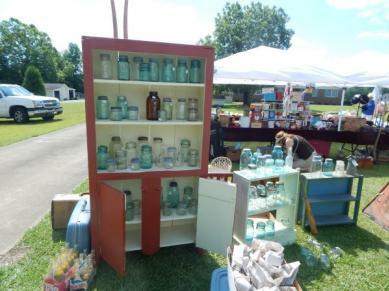 Shoppers will find the usual yard sale clothes, kitchen gadgets, and the truly unique items like old farm equipment and maybe even a boat! Click here for special hotel rates! We invite you to make Johnston County the hub of all your shopping activities for the weekend. Our hotels offer special discount rates and if you are not too exhausted from yard sales, we offer some extra shopping opportunities at Carolina Premium Outlets in Smithfield. Click here for a list of Johnston County Vendor locations! If you are a vendor looking to find a great spot for the 301 Yard Sale, Johnston County is also a great location from the Tobacco Farm Life Museum in Kenly down to Benson&apos;s stretch of 301. The South Johnston High School just outside of Benson has a huge parking lot, bathrooms and concession stands for vendors and visitors. Follow us on Facebook for great planning information -- and use the hashtag #301EndlessYardSale when posting on Instagram.